Don’t be fooled by his cute exterior, though. 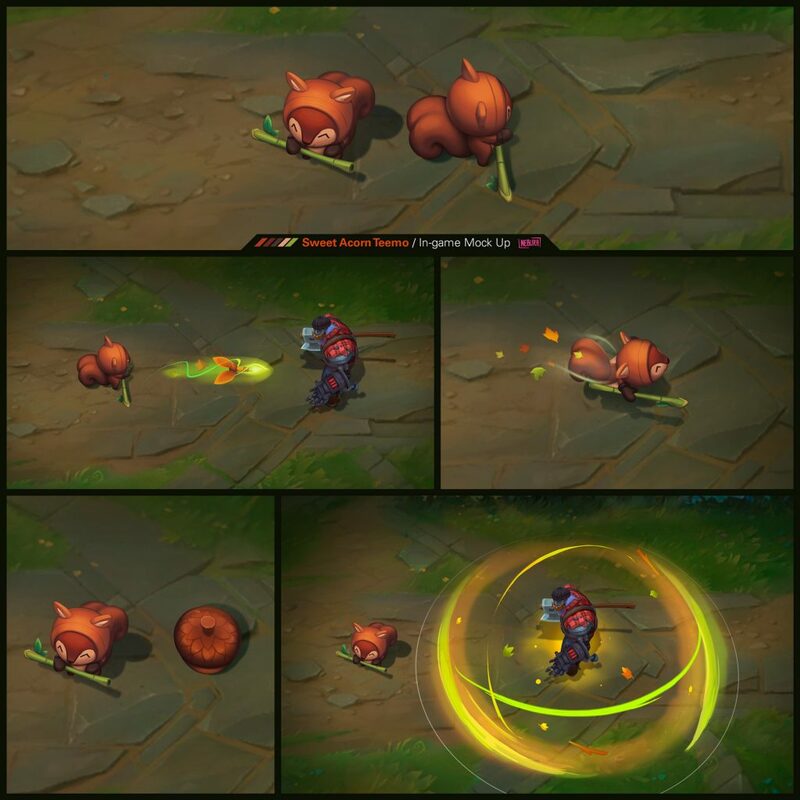 If Teemo fans don’t already have a hard time choosing which skin to use on Summoner’s Rift, adding this cosmetic would probably make things even more difficult. A concept artist named Walther “Nebura” Sorg has created another charming little skin for the Swift Scout called Sweet Acorn Teemo. 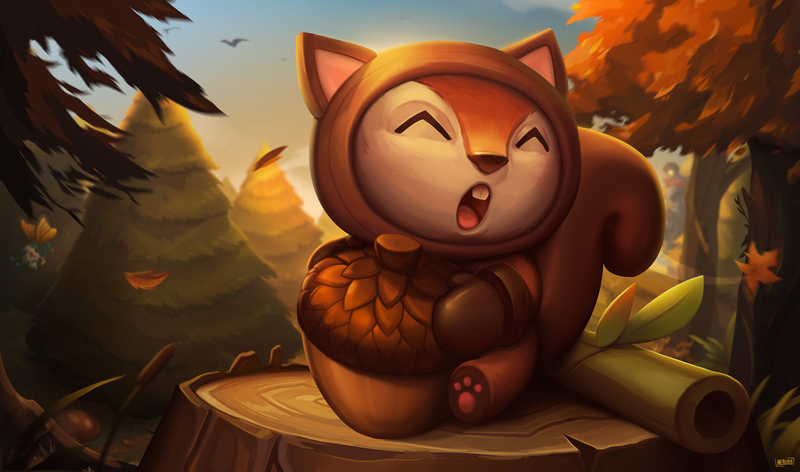 The skin features Teemo dressed up as a squirrel of some kind, and the splash art has him holding an acorn in his little paws. The in-game mockups feature everyone’s favorite yordle wielding a bamboo shoot, similar to his Panda Teemo skin. The visual effects also match the Autumn-themed color scheme that’s predominant throughout the concept. There are plenty of browns, greens, and reds that exemplify the fall season quite well. Teemo’s signature mushrooms are, of course, half-buried acorns. Additionally, when he activates his Move Quick ability, he has a trail of leaves in his wake. The skin falls in line with the rest of Teemo’s skins, which are typically cute and cuddly. Beemo and the bunny-hopping Cottontail Teemo skins have had Teemo mains jumping for joy, but this would also leave them all smiling from ear to ear. A Rioter even hopped into the comments of the Reddit post that the artist made, saying that they “came for the Evelynn, [but] stayed for the Teemo.” This referenced the little thumbnail that showed a digital painting of Evelynn that Sorg did before. Although this might not ever be put in the game, it’s another example of how creative and talented the League of Legends community can be.